Warriors head coach Steve Kerr provided a positive update on marquee offseason signing DeMarcus Cousins on Monday night, saying the center will be more involved in practice and scrimmages as he recovers from a torn ACL sustained last season. 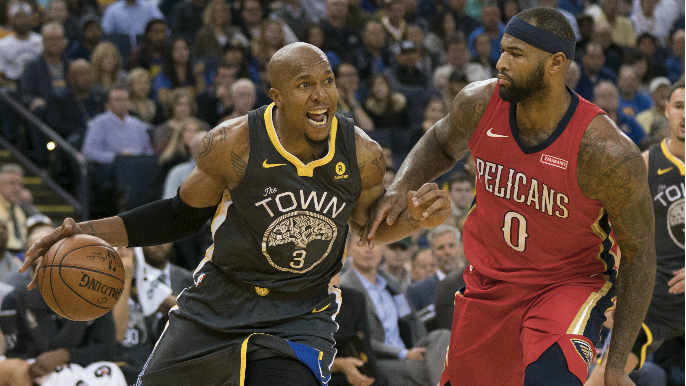 On Tuesday, Kerr joined Tolbert & Lund to provide more information on Cousins, this time regarding how the Warriors are planning on using the center when he’s ready for game action. Over the past two seasons, the Warriors ran their offense though West at the beginning of the second and fourth quarters, taking advantage of his exceptional passing ability. Cousins shares that ability, averaging 5.4 assists per game last year. Cousins shot over 35 percent from deep last year, an improvement on his career average of 33.8 percent. Kerr also made an interesting comparison regarding Jones, who had a breakout performance on Monday.